I really love your site! Only I get really bummed when I see your fabulous bikes and realize how horrible my bike is for riding in fashionable clothing. 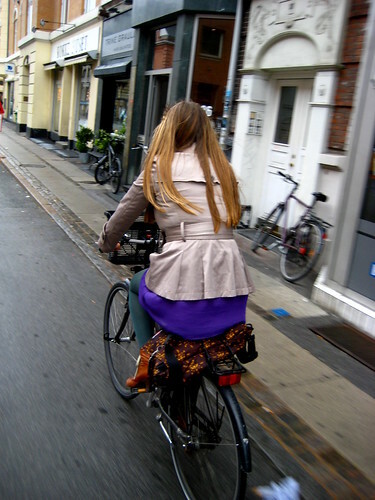 This morning I went to the store in a skirt on my bike and it got caught in the brakes! Why don't American bikes have skirt guards! Alas my poor skirt full of grease stains. 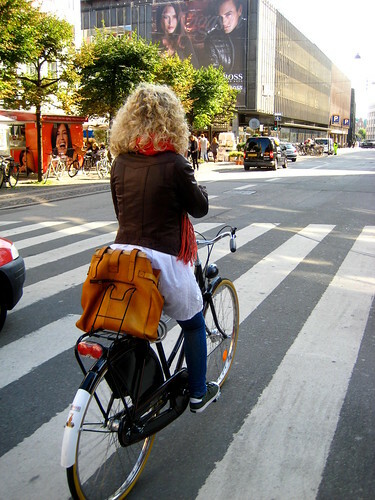 Maybe someday our bike trends will accommodate those who ride as a lifestyle. Beautiful ! I noticed today that not only has the blog Hank & Me not been updated, but the blog has been removed altogether. Does anyone know what happened to the author ?